Federal employees and retirees who signed up for the Federal Long Term Care Insurance Program (FLTCIP) may experience a rise in their blood pressure over the next few weeks. On November 1, their premiums will increase by an average of 83%, or more than $100 per month. If you’re one of the roughly 280,000 federal employees who enrolled in the plan (about 10% of the current federal workforce), you just watched your retirement budget collapse. And you’re probably angry. Rightfully so. You probably believed your premiums would be better controlled. But let’s give your blood pressure a chance to come down and talk about your options. The program is offering you a few ways to go. You can lower your benefits and maintain your current premium amount. You can go halfway—increasing the premium by 40%, for example, and reduce your benefits proportionately. Or you can keep the benefits you signed up for and absorb the new premium. But there are other options available as well—steps that can be taken outside of the federal program that might also work for you. It’s important to remember, however, that everyone’s situation is unique, and what works for one person may not work for another. You can buy a life insurance policy. There are myriad life insurance policies out there and this is just one example of how purchasing a policy can help you pay for long-term care. Premium payments can be made using a single premium or can be paid monthly or annually. 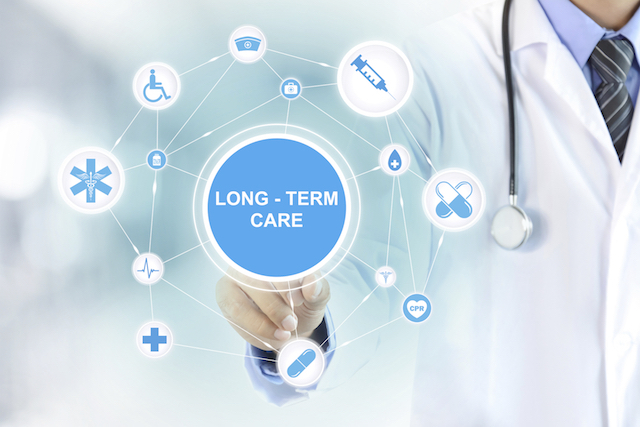 Once you need long-term care services, you are most likely approaching your mortality, so they’re going to let you access either the entire amount or a partial amount of the death benefit. It just reduces the death benefit proportionately. So if, for example, you pass away after you’ve used half the benefit, your heirs will still get the other half tax-free. If you don’t use it at all, they’ll get the entire death benefit. In most cases, once you’ve put that lump sum in, you’ll never pay another premium. You can use a fixed index annuity with an income rider for your long-term care fund. A fixed index annuity is designed, first and foremost, to help create a guaranteed stream of income for as long as you live. However, the idea in this instance is that you’ll pay the annuity premium and let it sit and accumulate interest credits for a given amount of time. That annuity will also have an income rider, generally available at an additional cost. That rider may also increase your benefit base by a certain percentage each year, often known as a roll-up interest rate. The longer you delay the rider income, the more years you can enjoy the annual roll up. In 10 years, you can come back to that money and start drawing income. It may be appealing for a person who might not be able to qualify for traditional long-term care insurance or someone who might not be able to get a life insurance policy, because there’s no underwriting. But there are ways to fit that fund into your retirement plan. So stay calm, carry on and don’t be afraid to get creative.